Plastic-free workshops, local live musicians and beach cleaning action where LITTER is TRADED for funky, PRE-LOVED goods…. Every 10 minutes, Australians send 6 tonnes of textiles to landfill, and everyday we burn through 2,700,000 coffee cups! 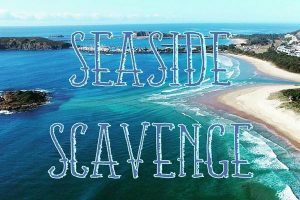 Seaside Scavenge uses YOUR second-hand clothes, books, toys & more in our pop-up market to get everyone pumped to clean-up & realise the impacts of our single-use plastics and fast-fashion consumption. 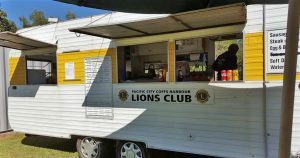 We’re stoked to team up with Coffs Council as part of the Travelling Trash Troupe to spread the ocean-loving vibes for our 21st event. If you’re a qualified diver you’ll be able to dip below the surface and clean-up around the jetty with free air thanks to Mike and the crew at Jetty Dive. Stay tuned for give-aways, cafés taking our Plastic-Free Pledge and the line-up!